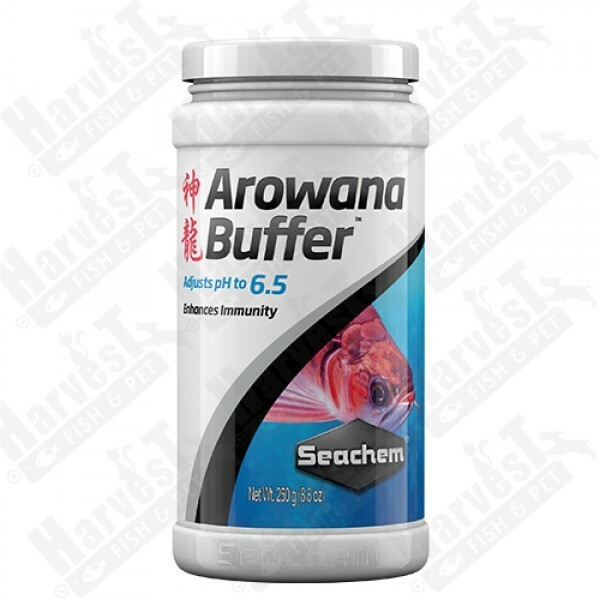 Arowana Buffer™ adjusts pH to 6.5 from either a low or high pH and maintains it there for 2–4 weeks. It safely softens water by precipitating calcium and magnesium. It also improves the ability of arowanas to resist infections. It is the buffer of choice for conditioning water for Asian Arowanas.